Hamilton Floor Sanding provides substantial wooden floor restoration solutions for worn floors and coatings for new timber floors. My knowledgeable and experienced floor sanders specialise in residential and commercial wood floor sanding, providing you with professional floor coating services for all types of timber floors in the greater Hamilton / Waikato area. I use quality machinery that ensures a virtually dust free environment, as well as renowned products when applying oil, stain or polyurethane coatings to your floors. As a well established business, I have worked regularly with schools, builders and housing companies. I have also worked with hundreds of satisfied home owners and retail businesses with functional and stylish polished wooden floors. Read what previous clients have to say on my testimonials page. We provide a range of flooring treatments to give a timeless look that enhances the grain, character and warmth of the floor. Having an exceptional reputation with dedicated, qualified, friendly staff, you can rely on us. 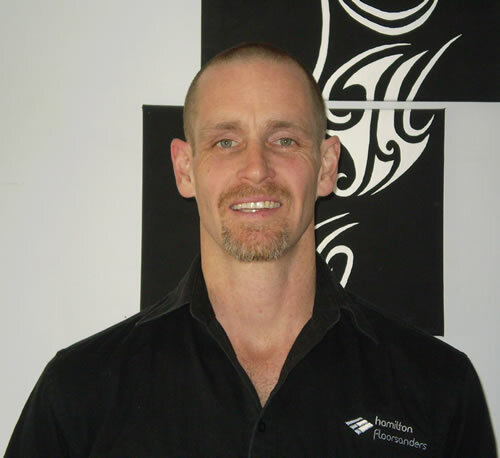 I welcome all enquiries regarding floor products and services for the Hamilton / Waikato areas. "I personally work with each and every client right from the very first query through to the completion of the job. Phone 0800 472 810 or mobile 021 130 5371.